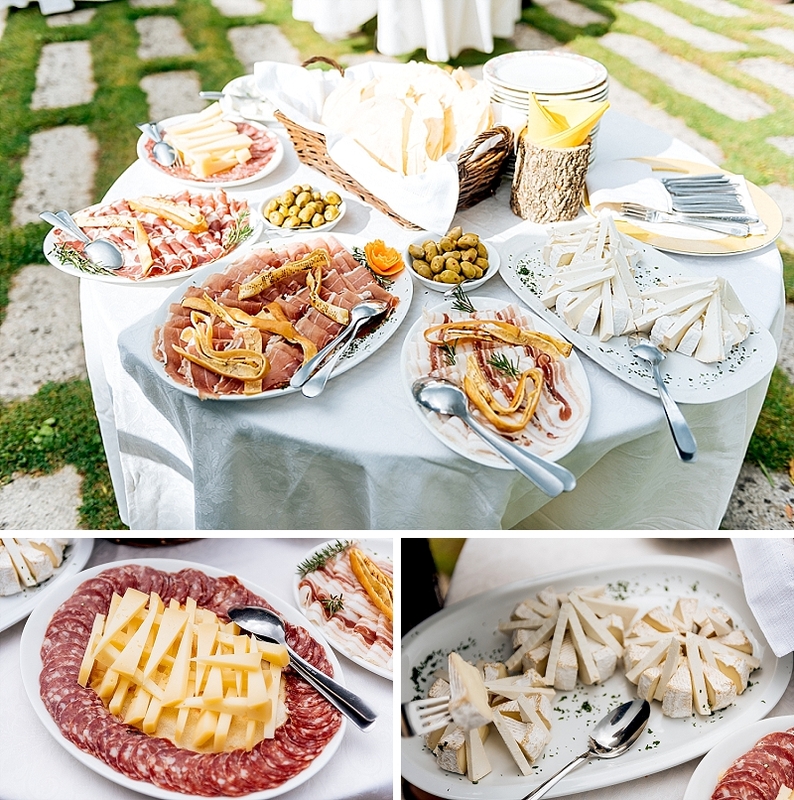 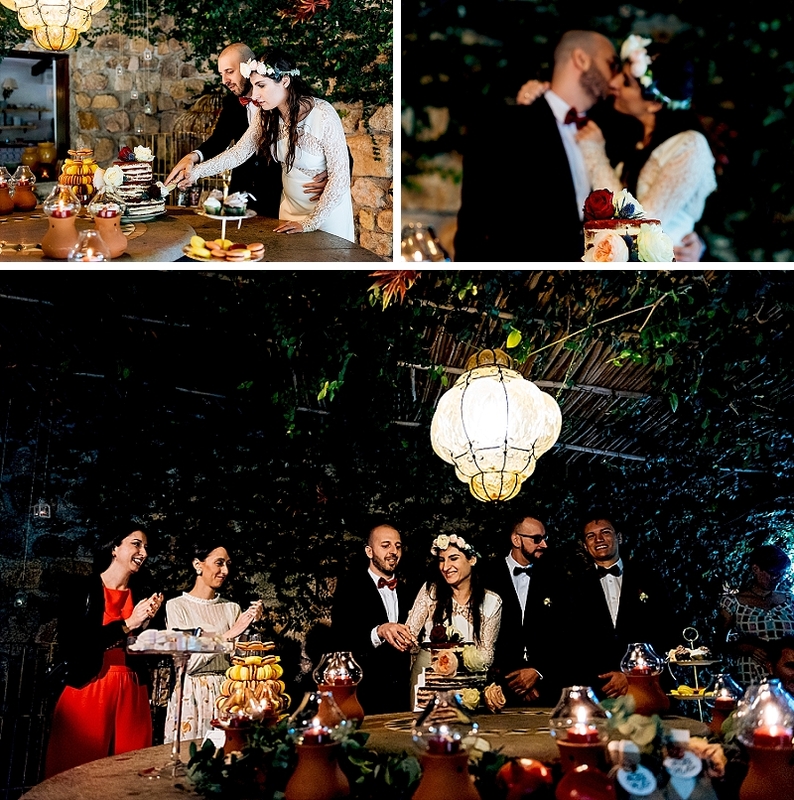 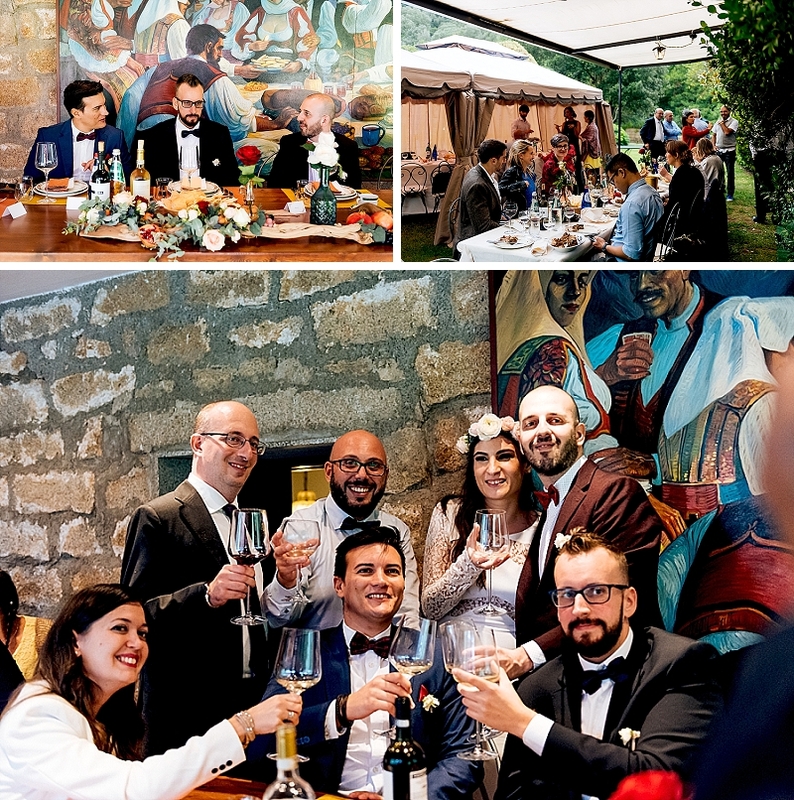 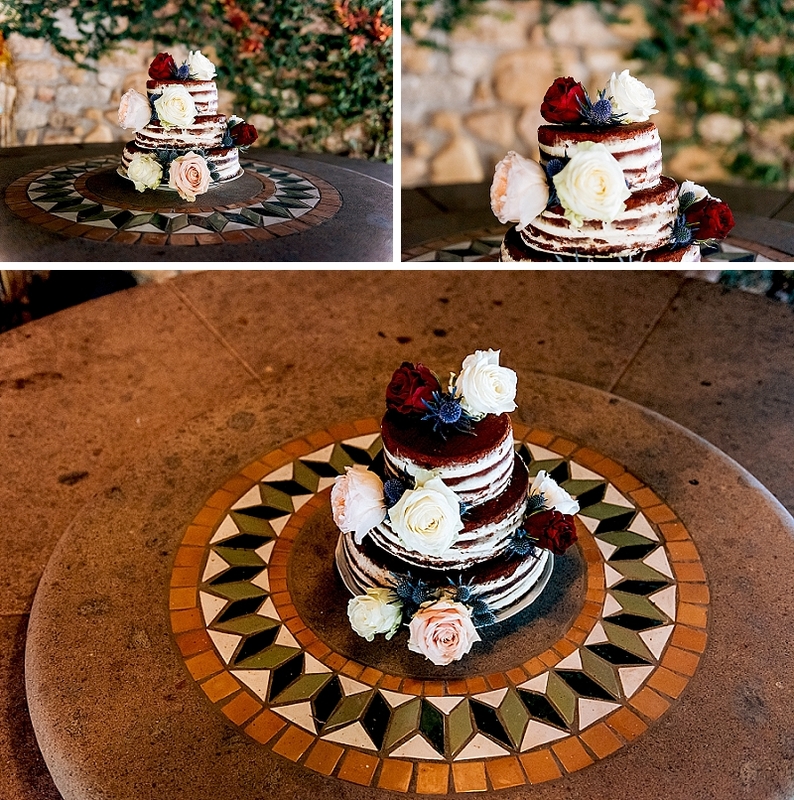 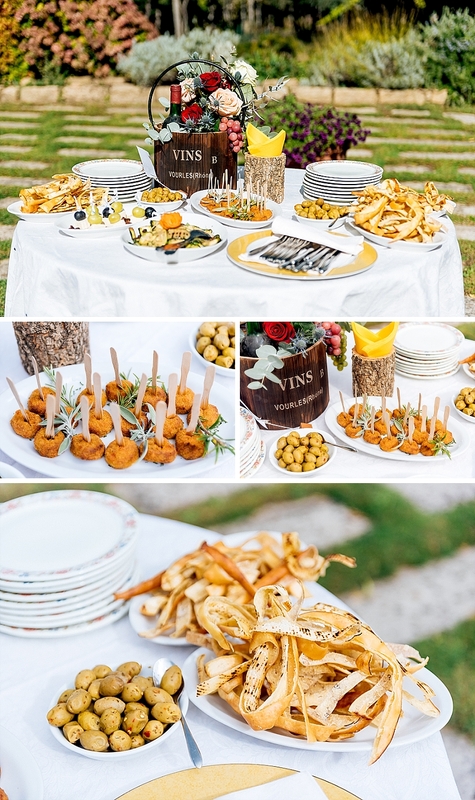 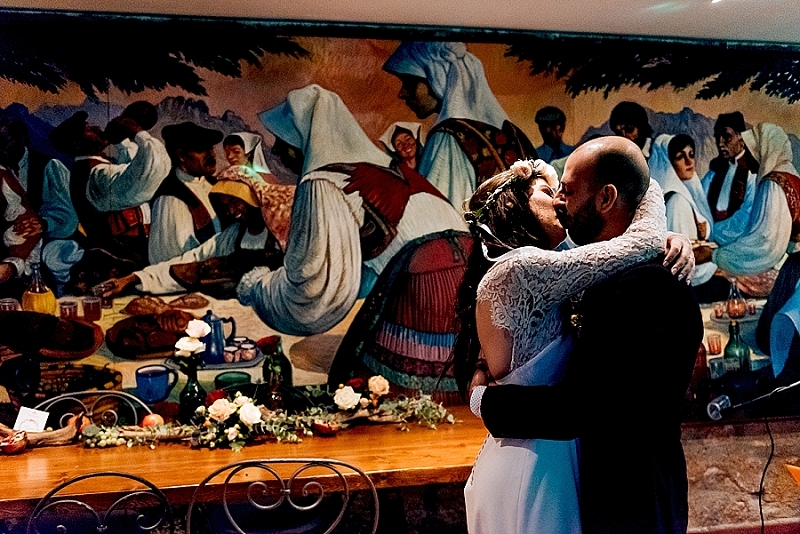 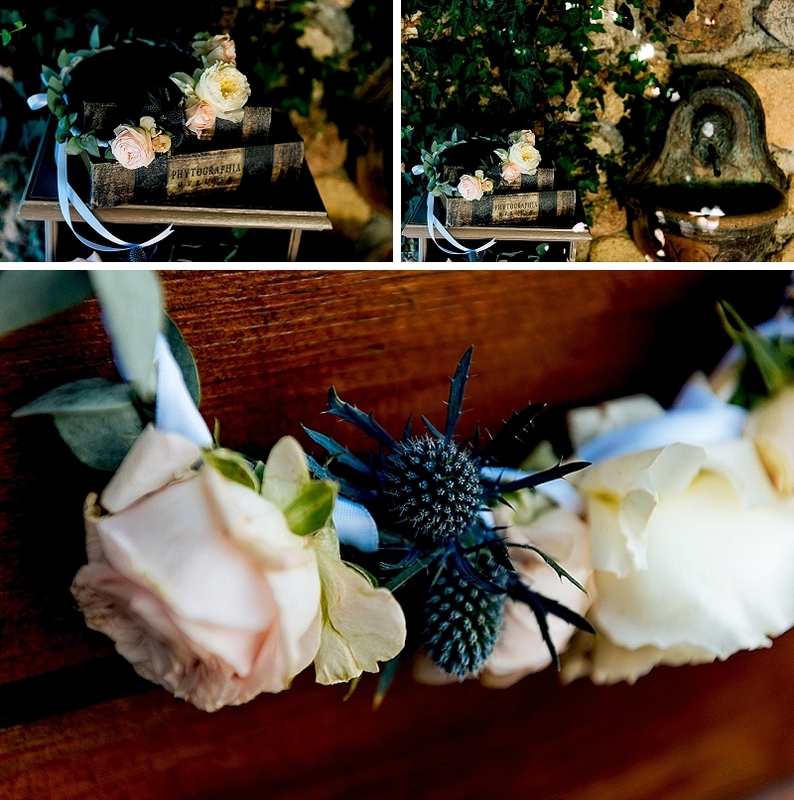 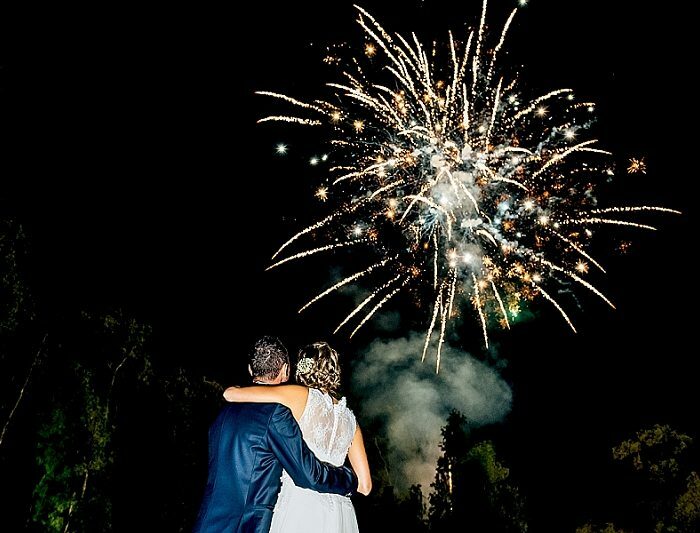 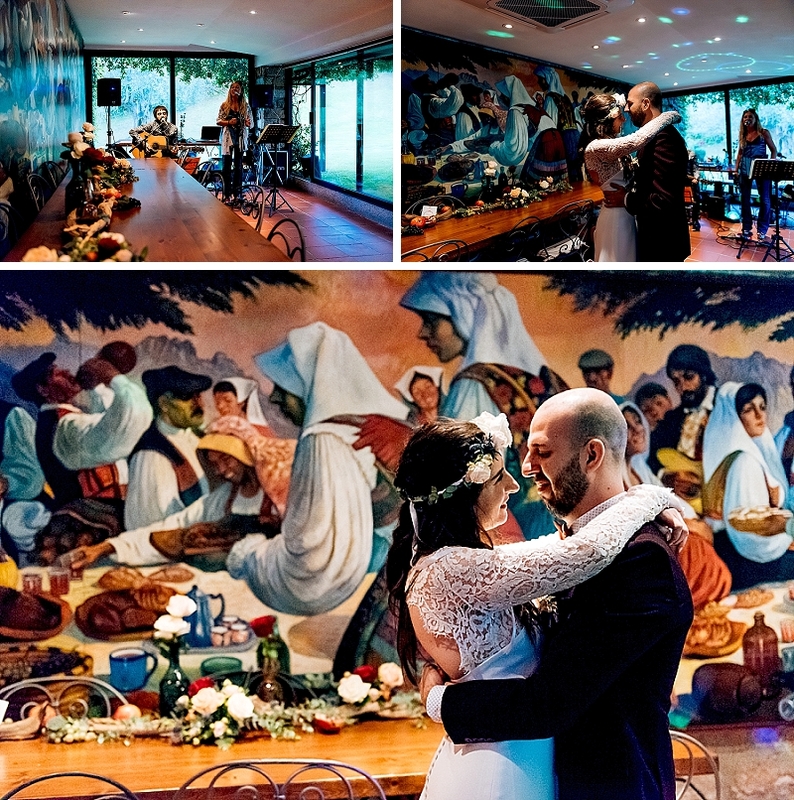 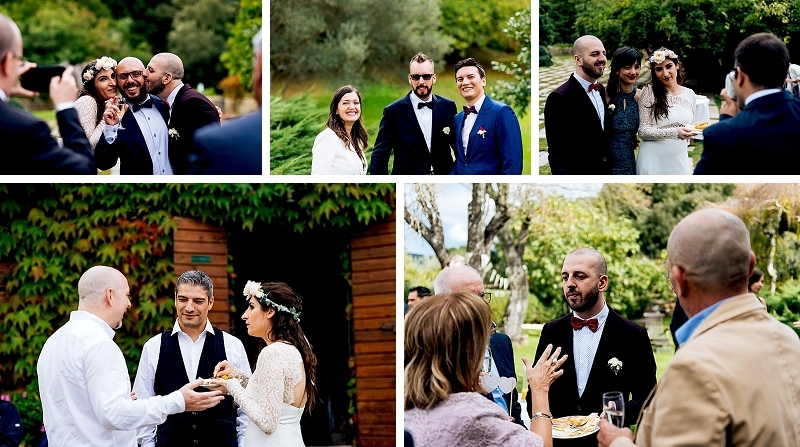 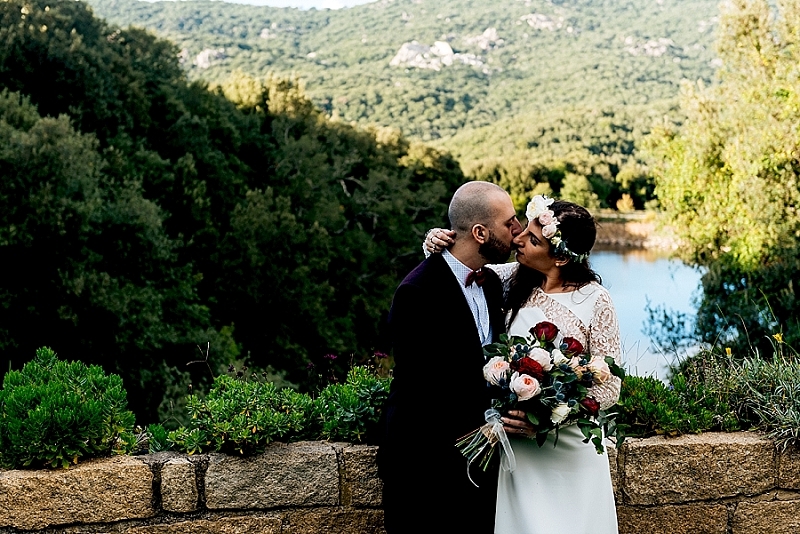 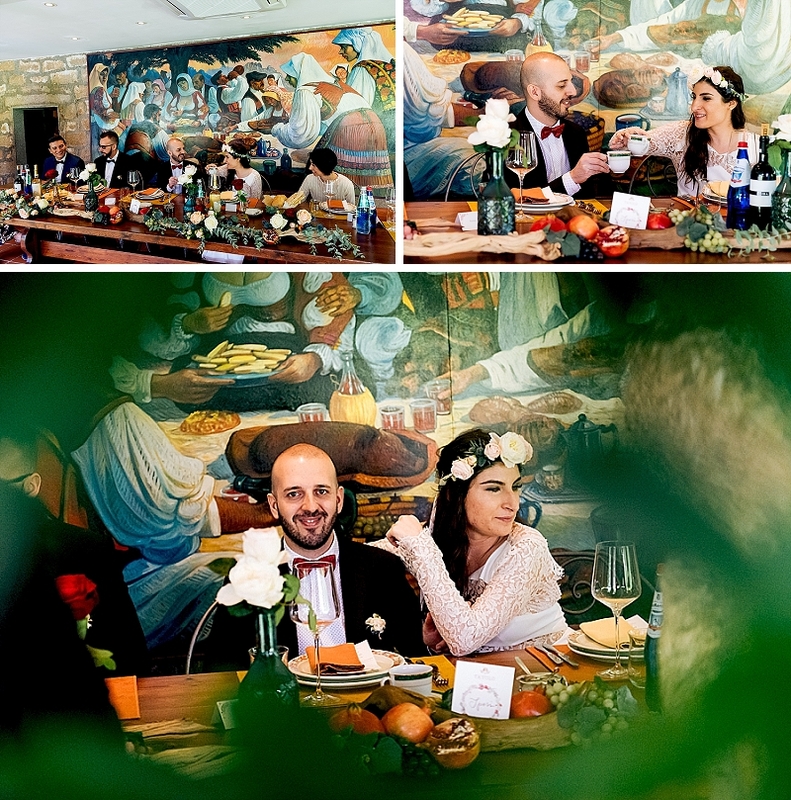 The wedding of Sara and Gianluca was celebrated at Agnata di Fabrizio de Andrè, a wonderful place at the foot of Mount Limbara Mount in Sardinia. 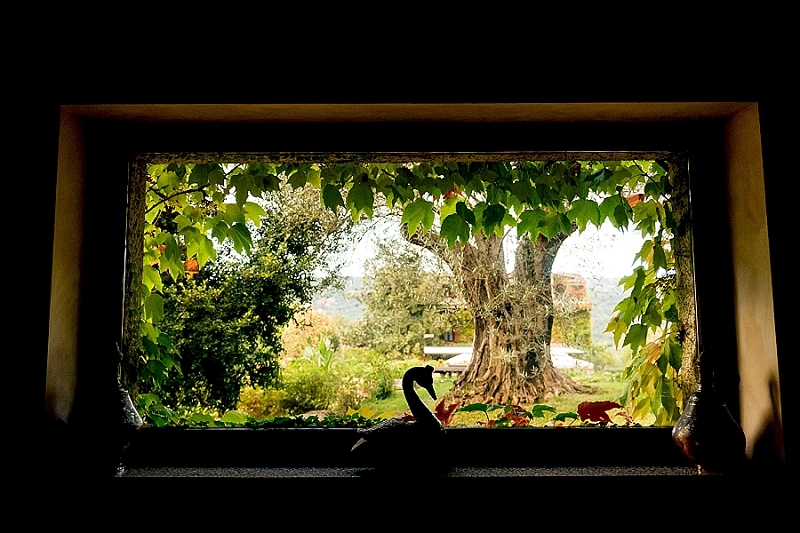 Agnata in Gallurese means “corner” and here the italian artist De Andrè lived and composed for most of his life. 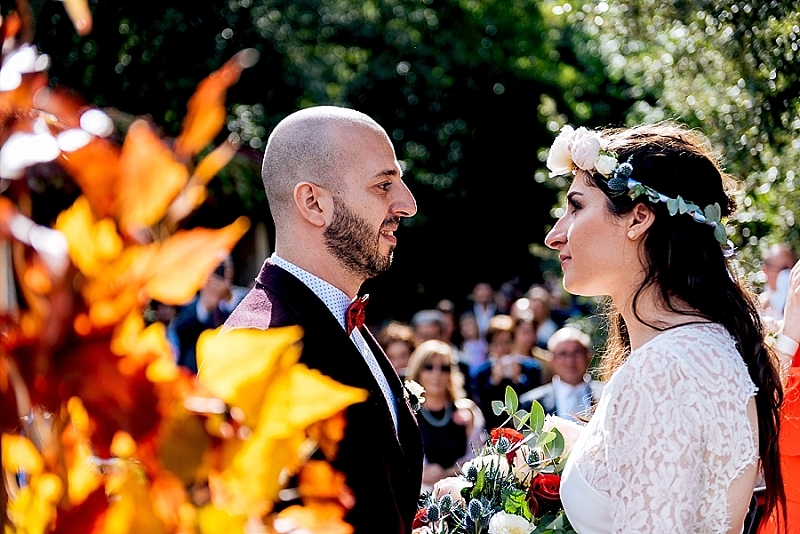 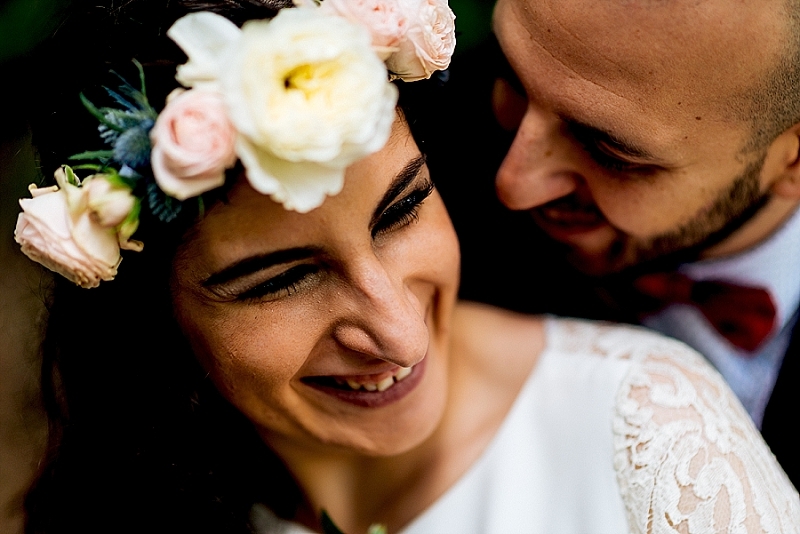 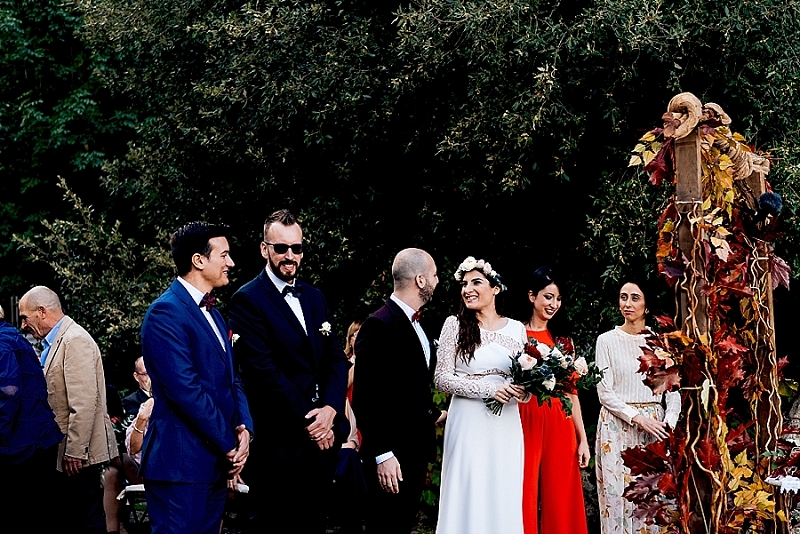 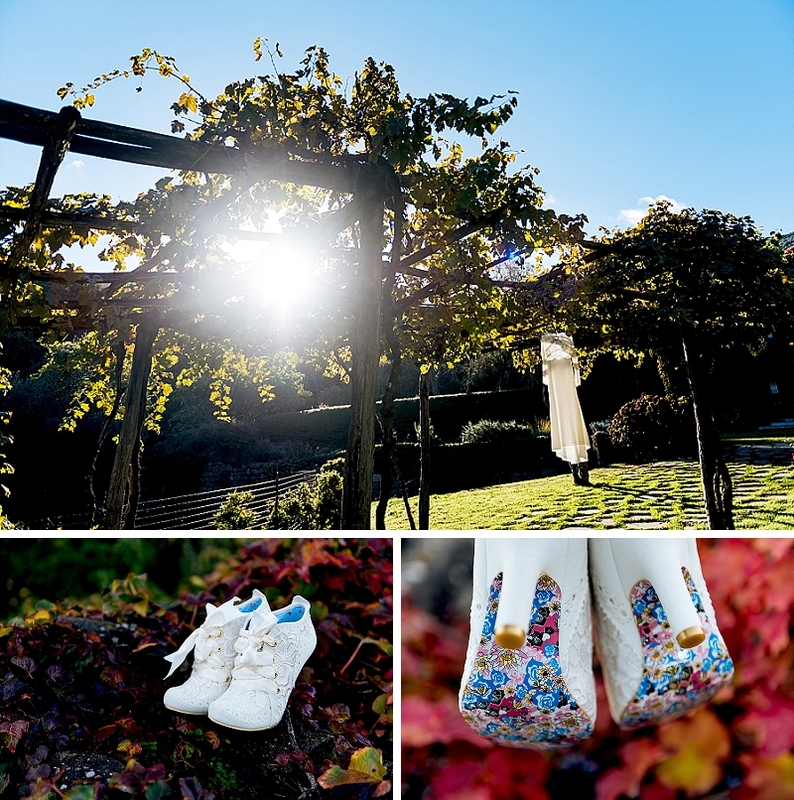 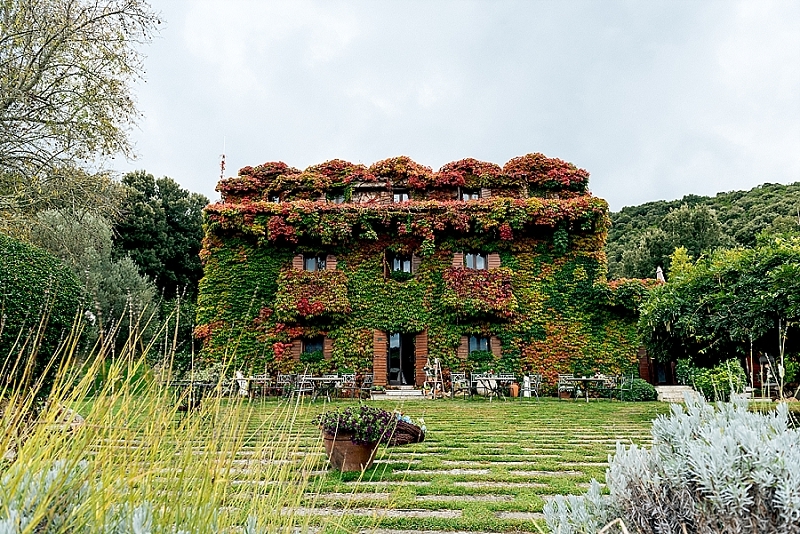 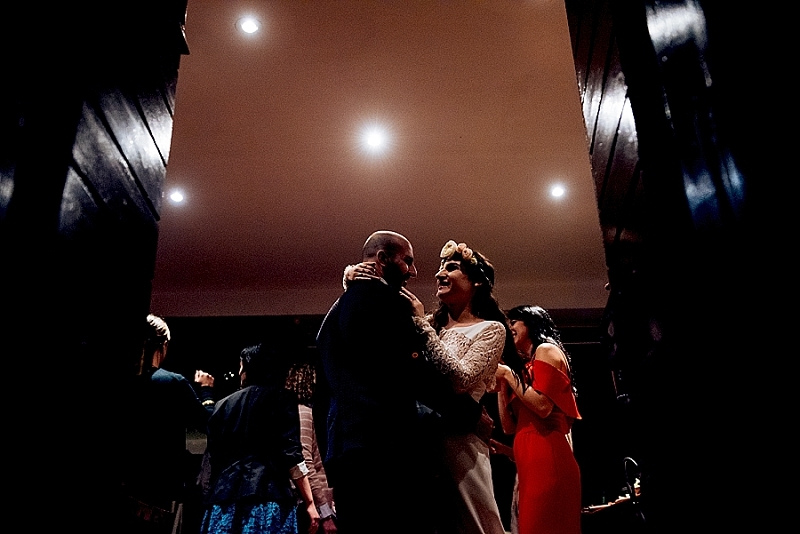 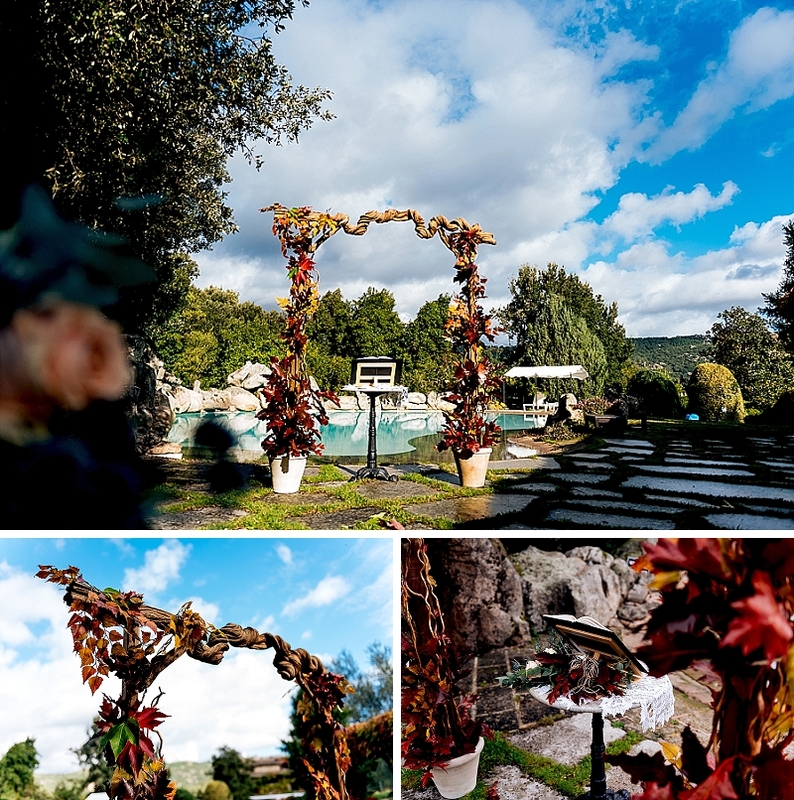 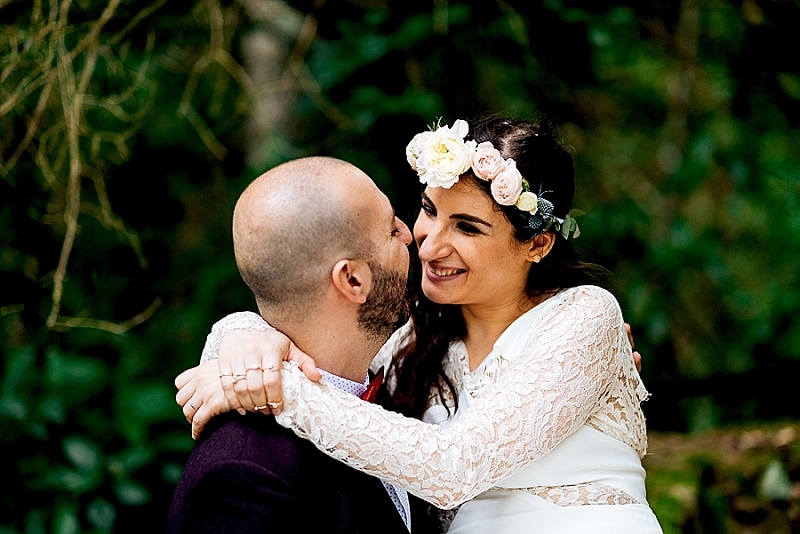 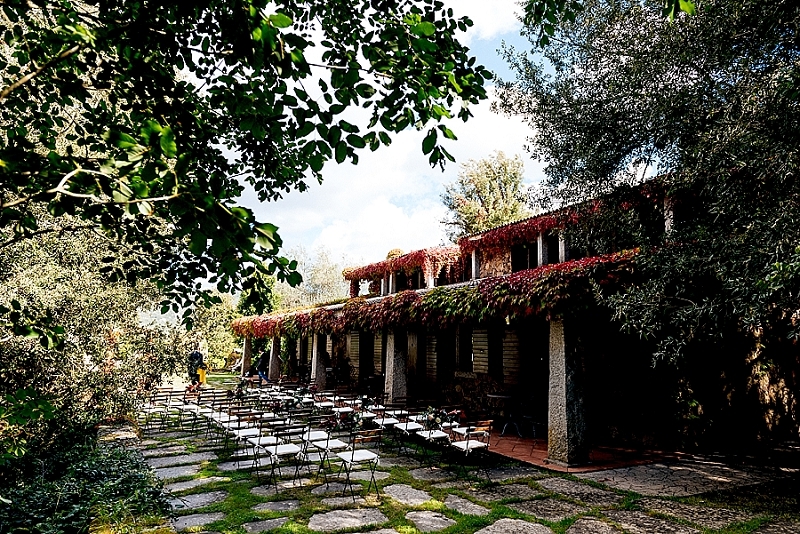 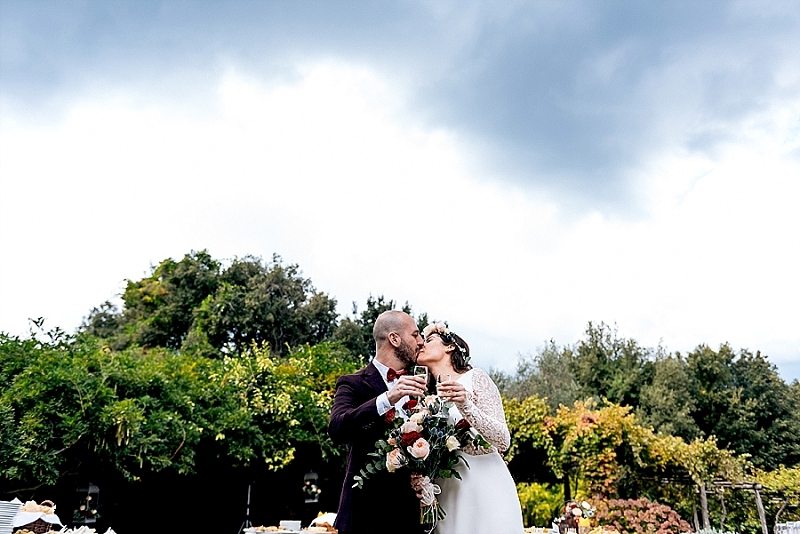 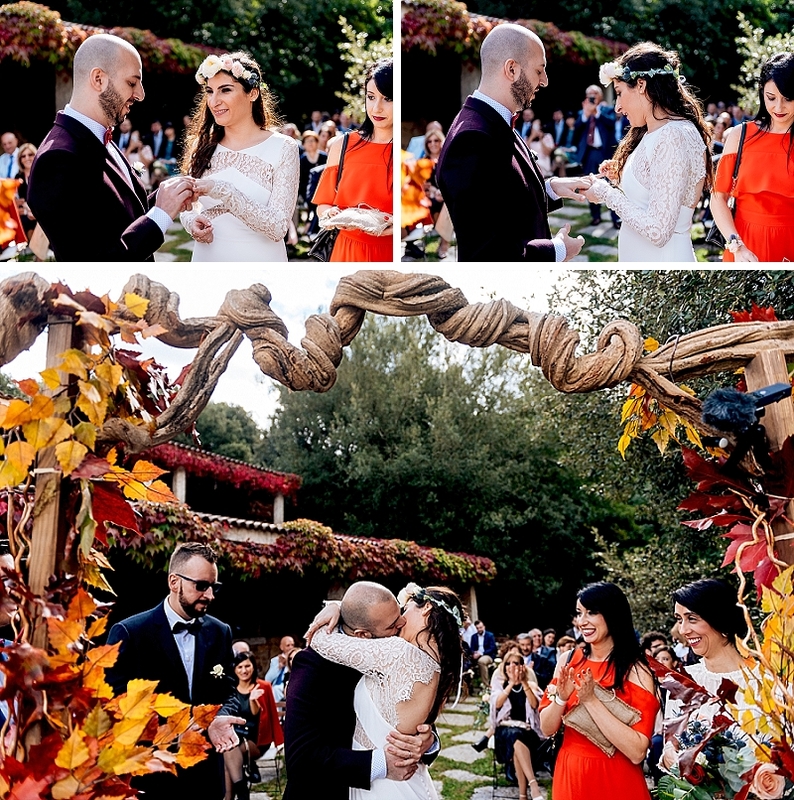 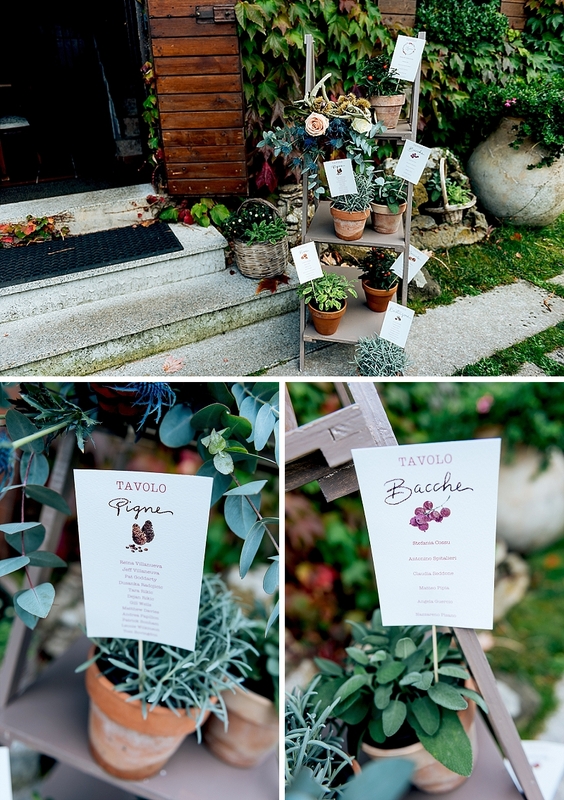 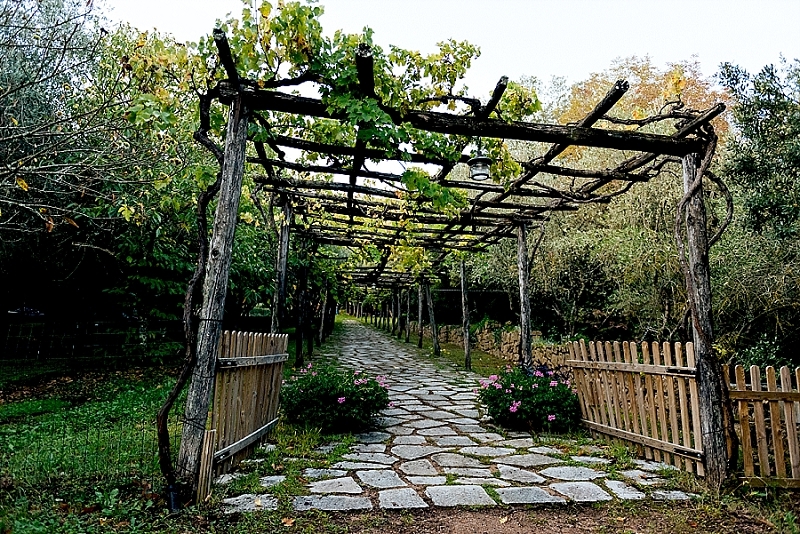 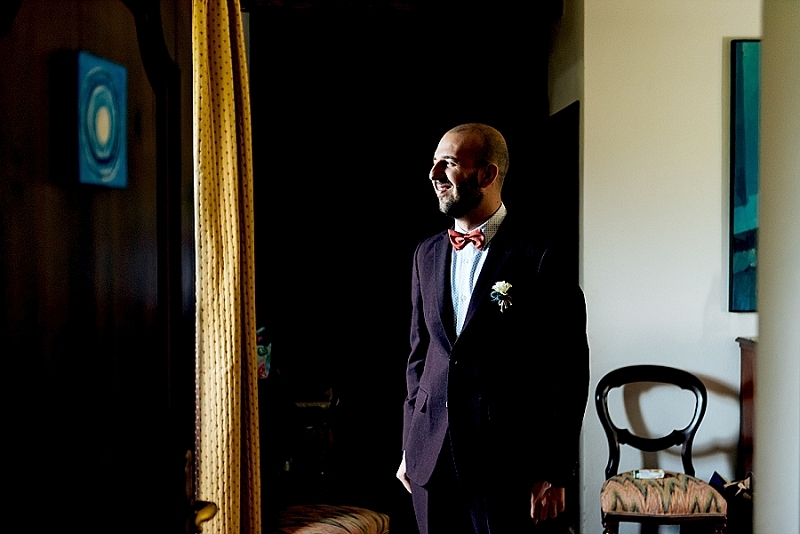 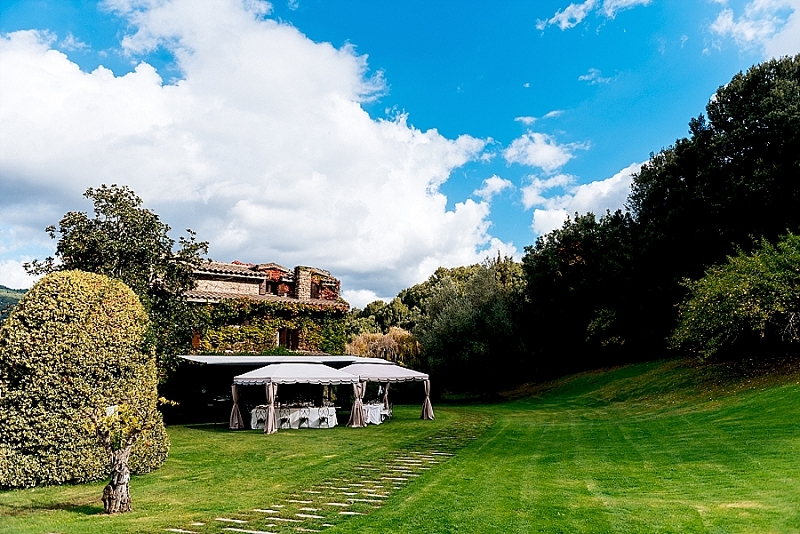 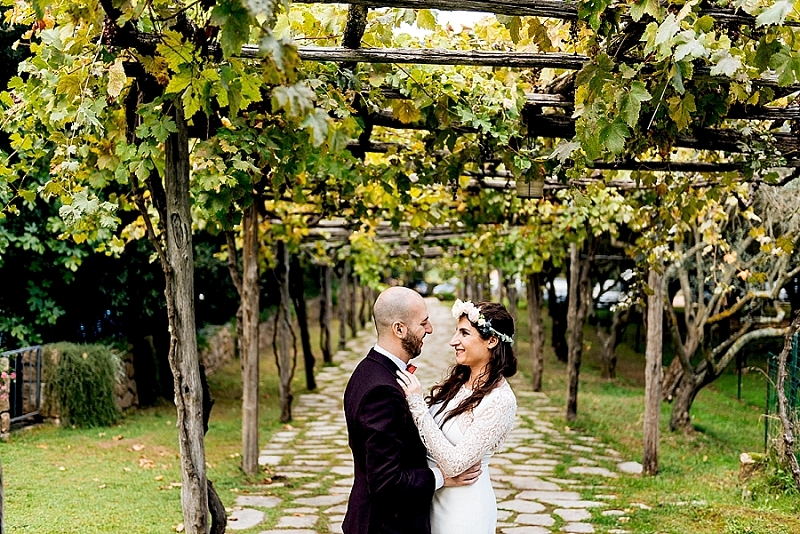 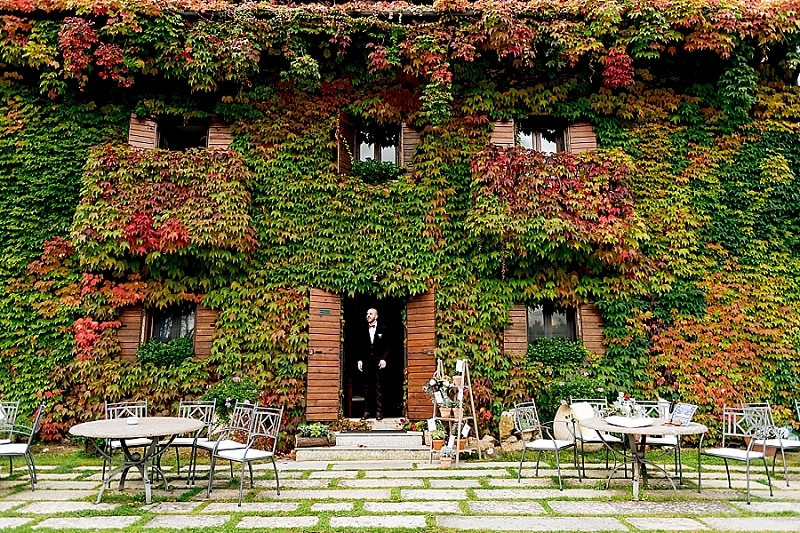 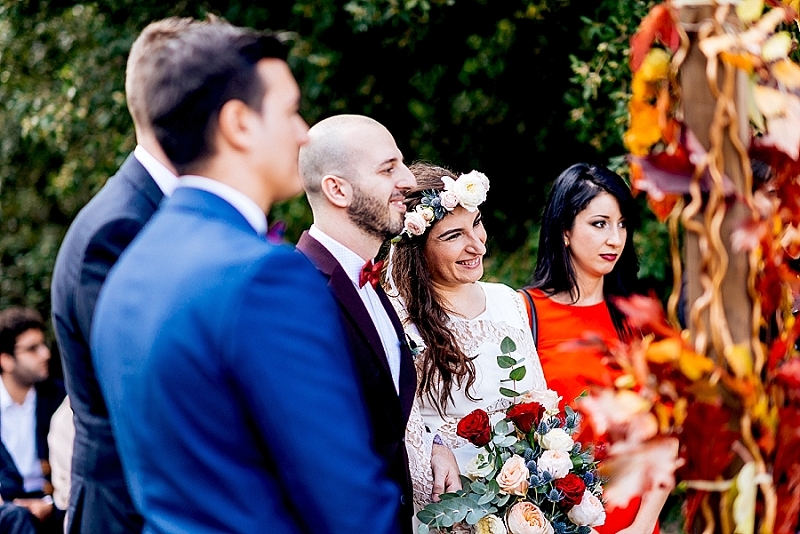 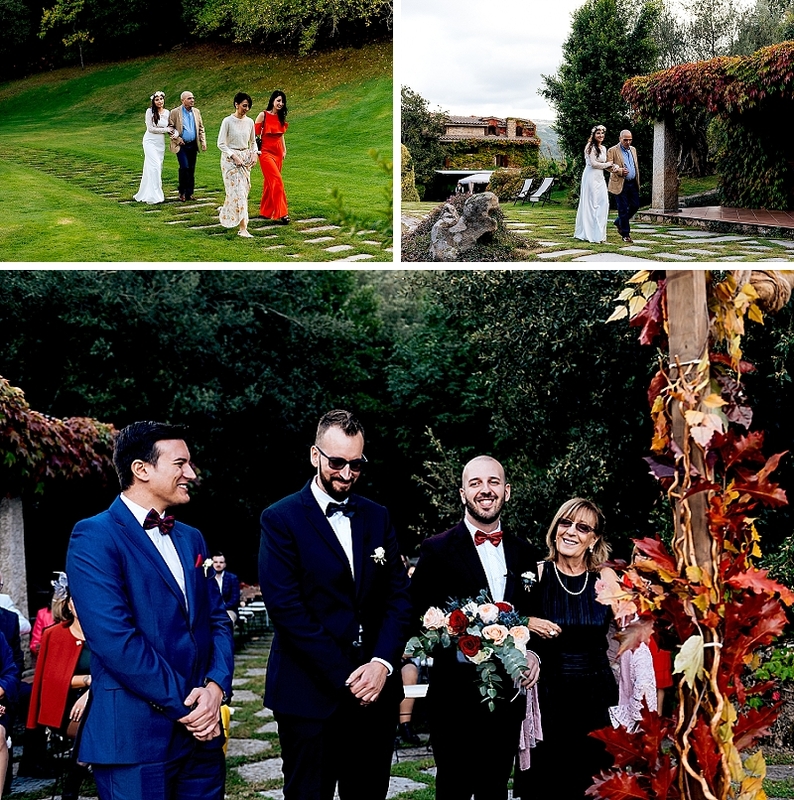 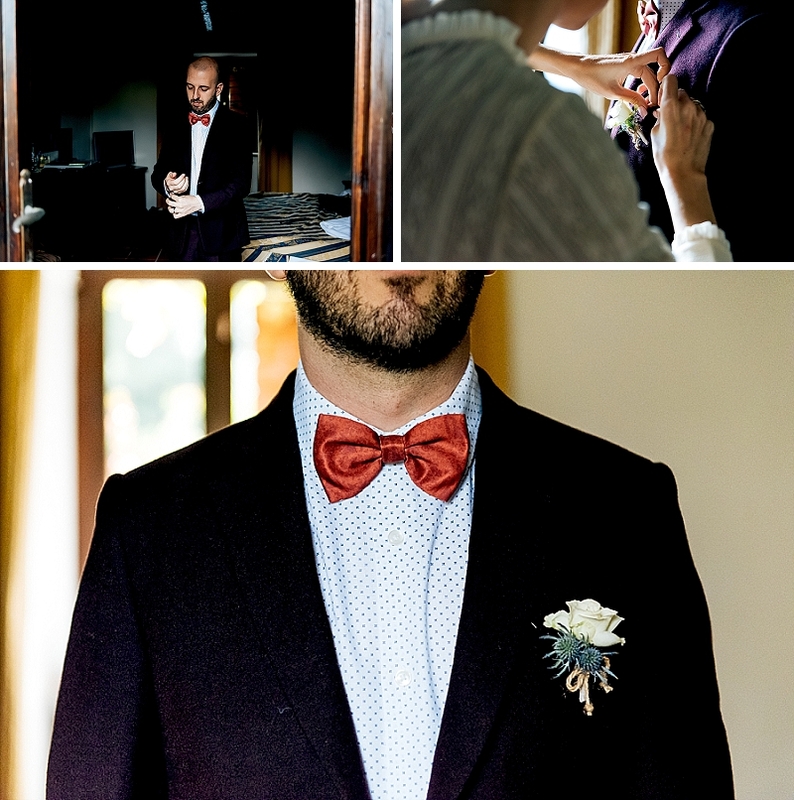 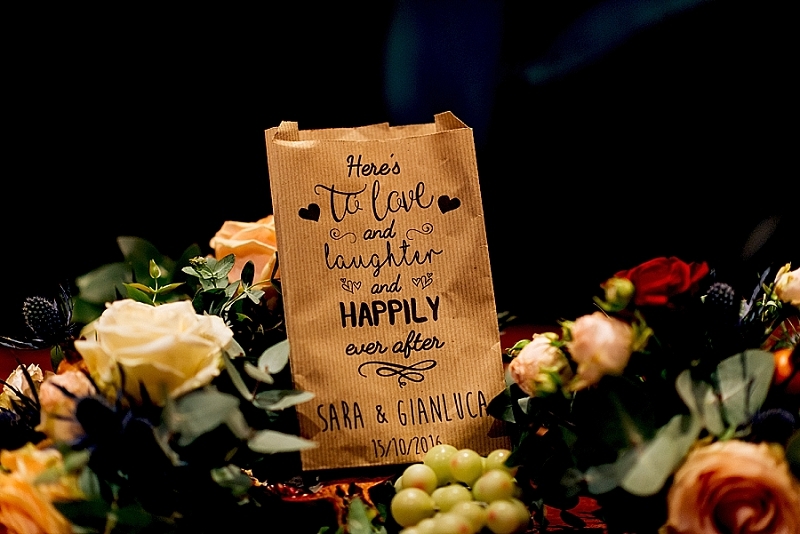 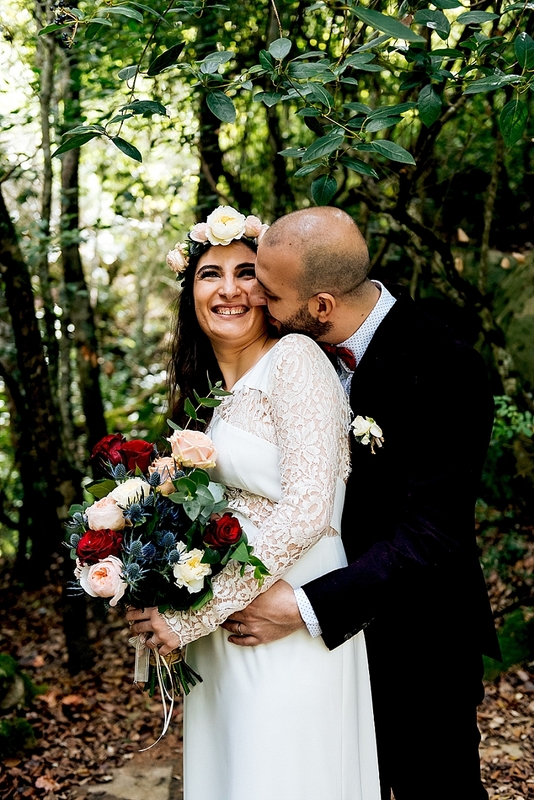 Very few weddings are celebrated in this exclusive place, and Sara and Gianluca waited for the arrival of autumn so that the canadian vine, which wraps around the house, would turn red. 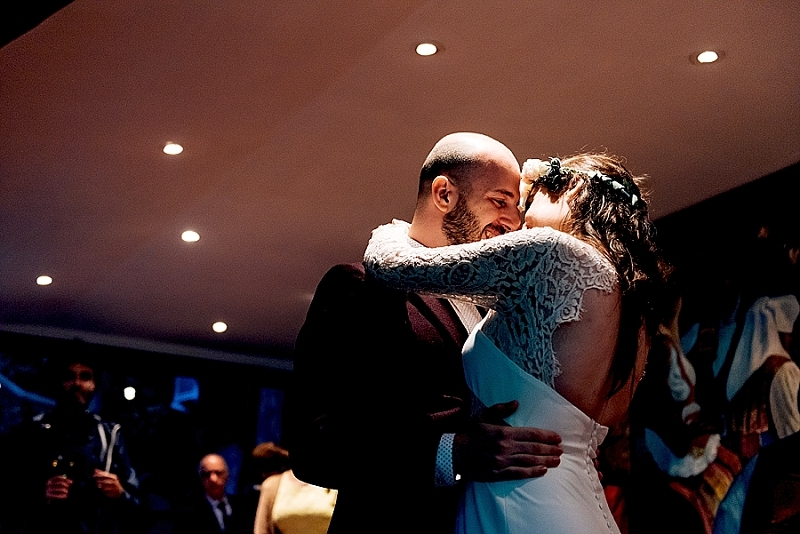 Their story is very romantic because they met and fell in love in London during a holiday of Gianluca. 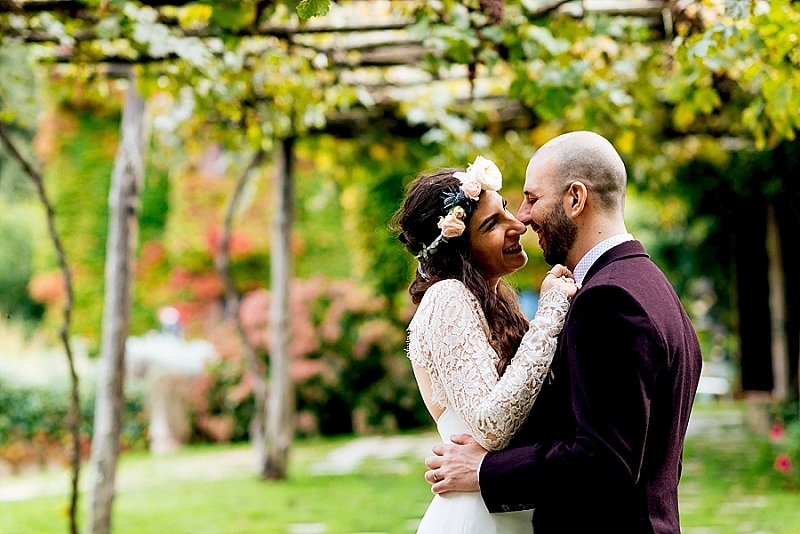 Two months later he left his life in Milan and went to live in London to stay close to Sara. 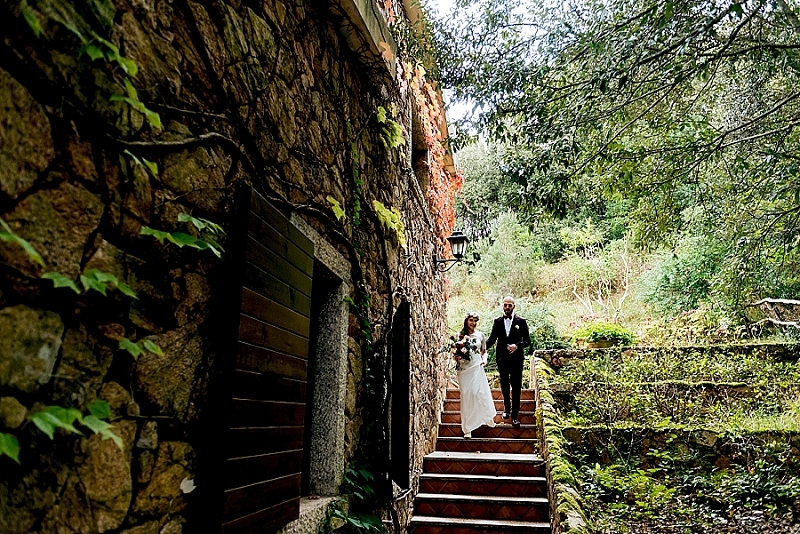 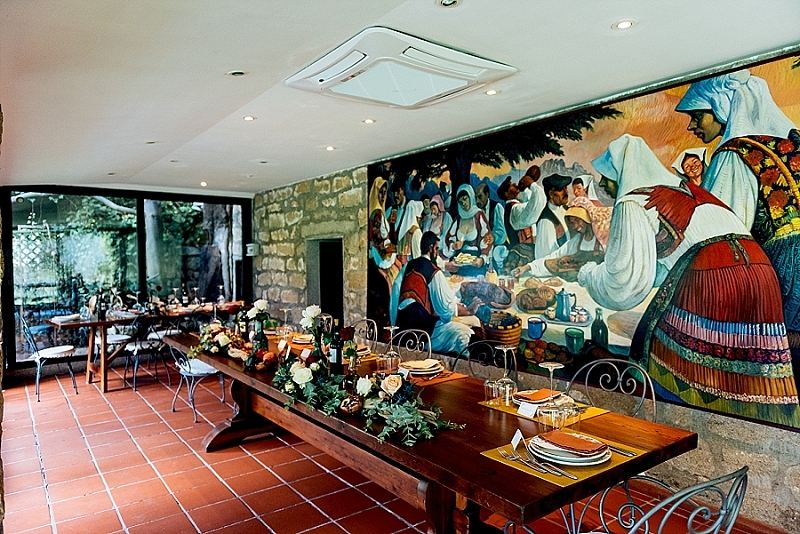 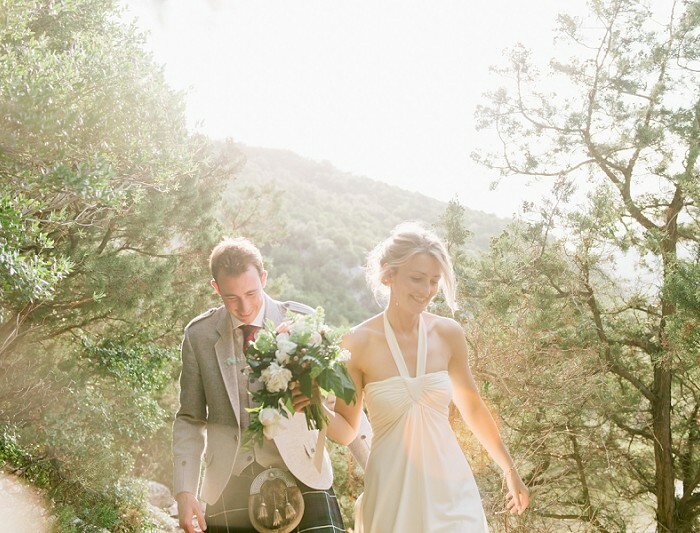 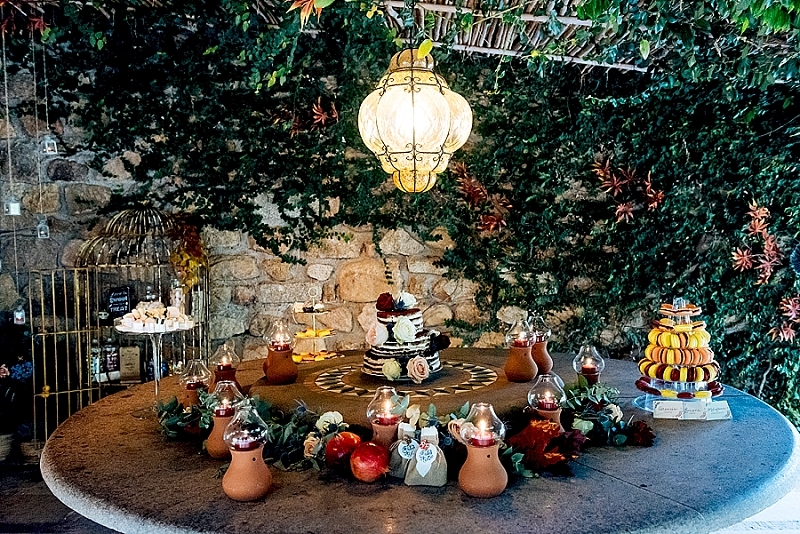 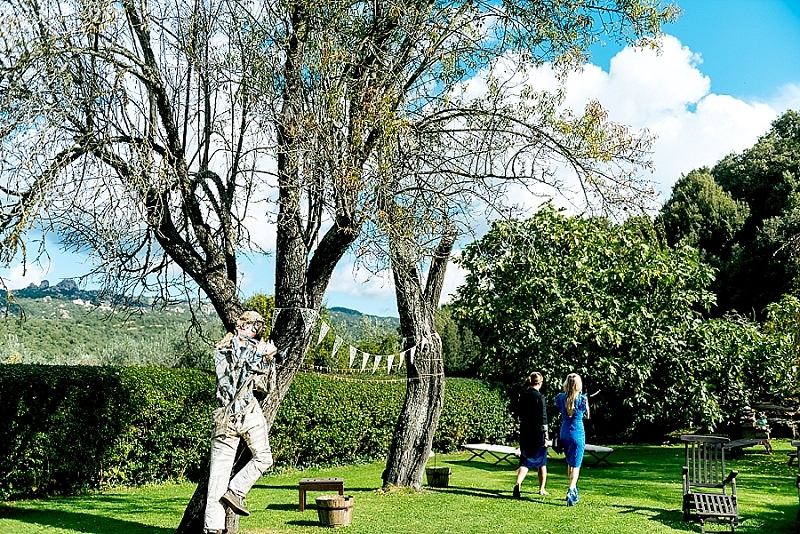 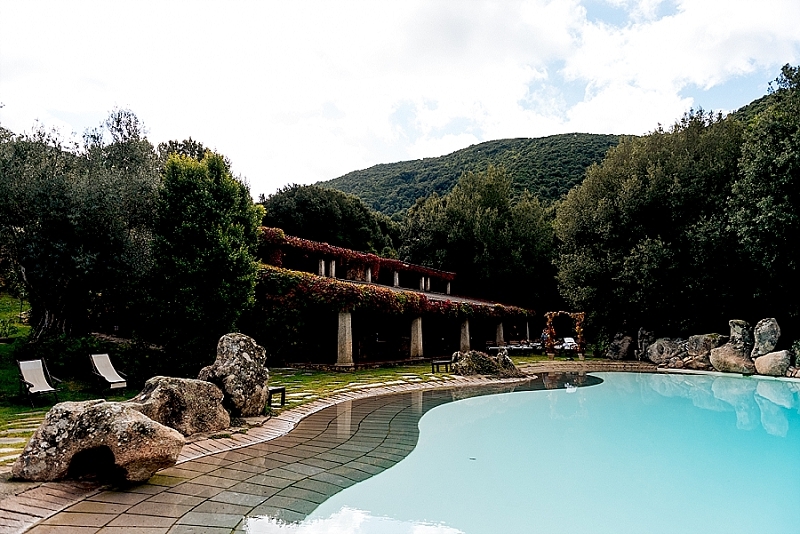 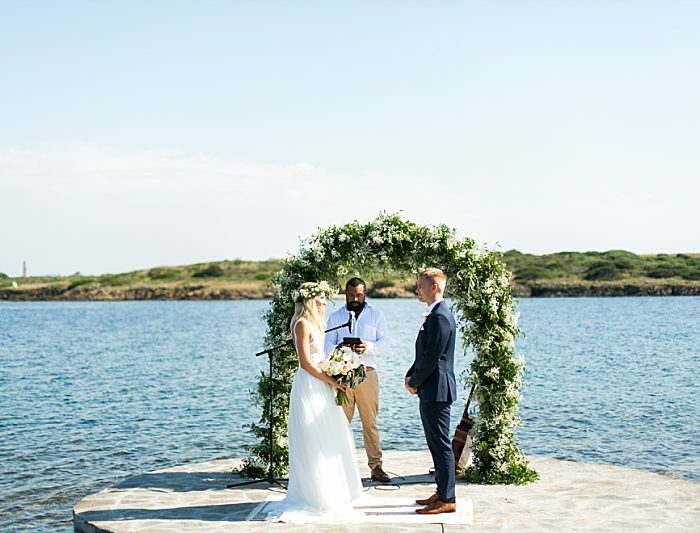 From there shortly, the decision to join in marriage and the desire to celebrate it in this enchanting location, immersed in the most authentic nature of Sardinia. 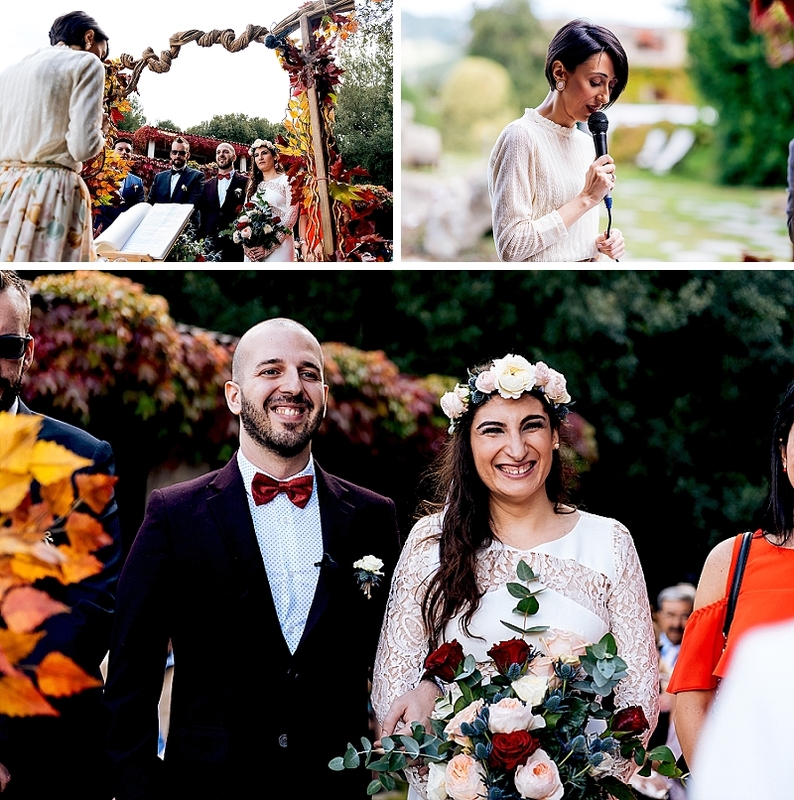 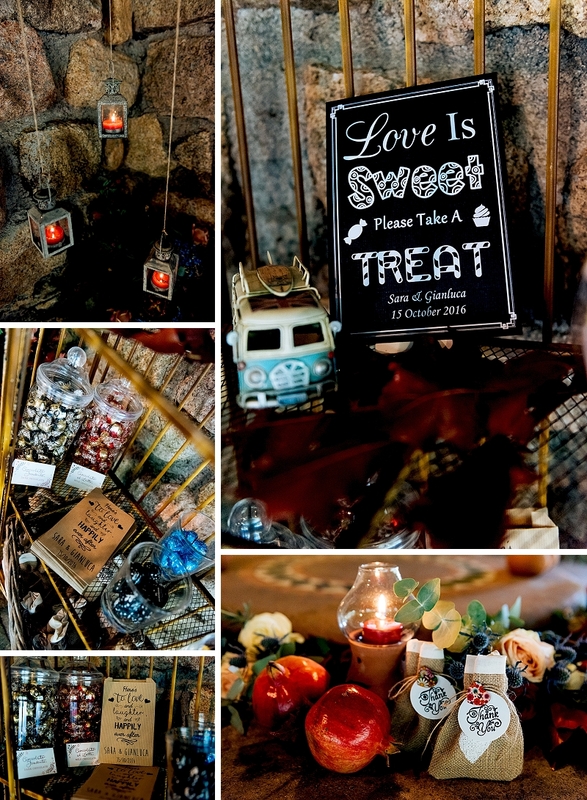 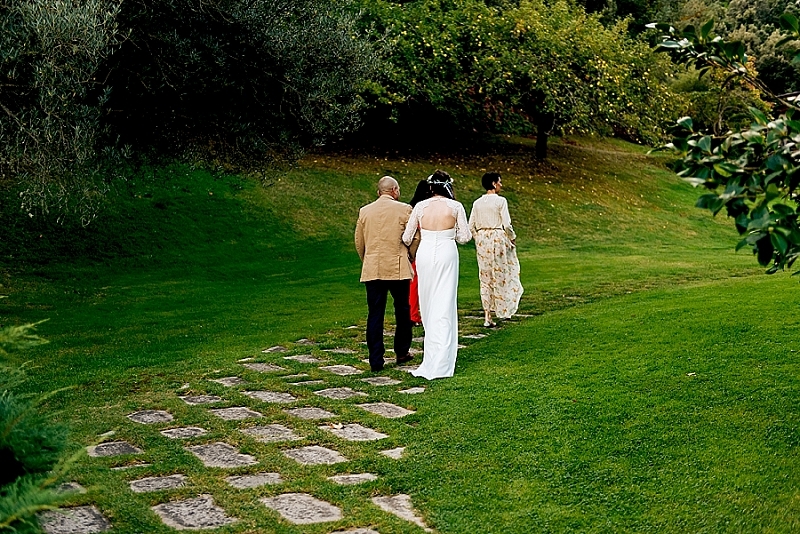 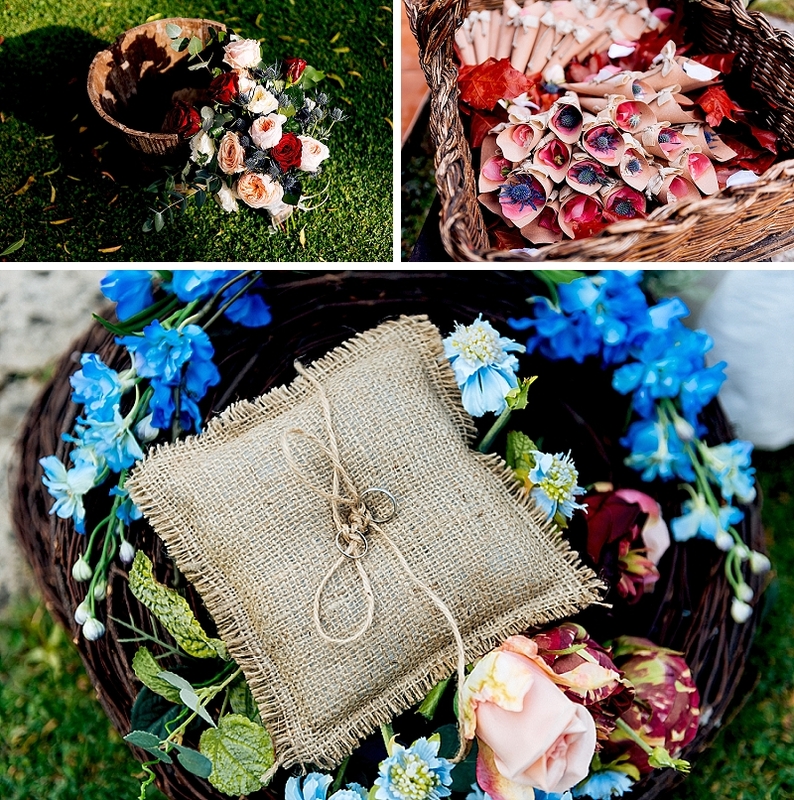 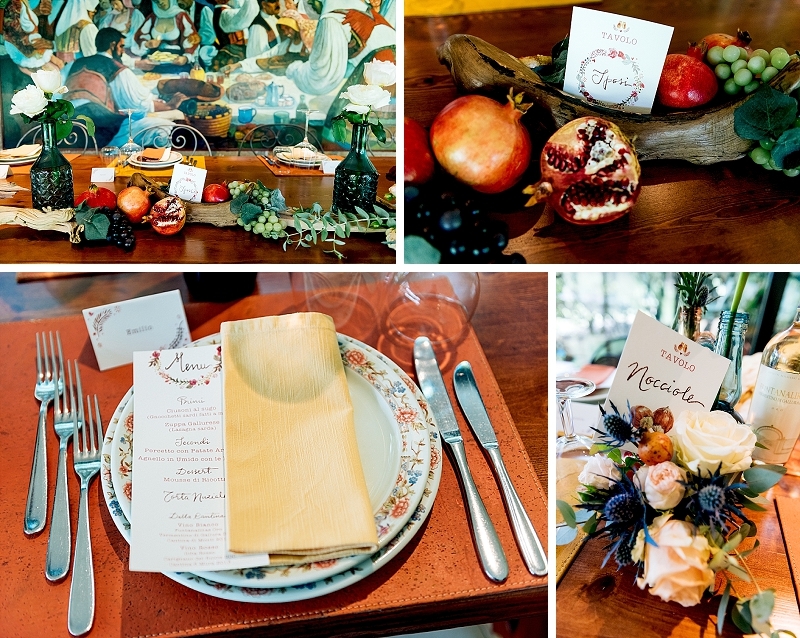 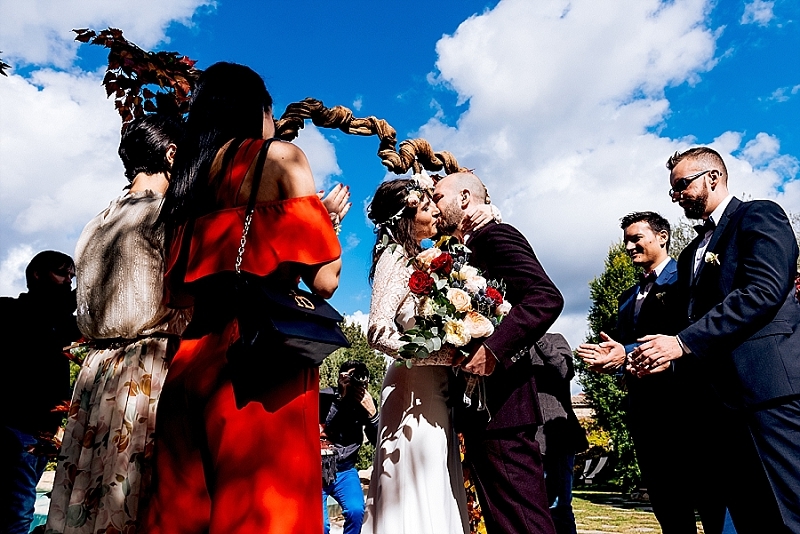 A boho chic wedding, theirs, with autumn colors that are taken up both in the floral details and in the outfits. 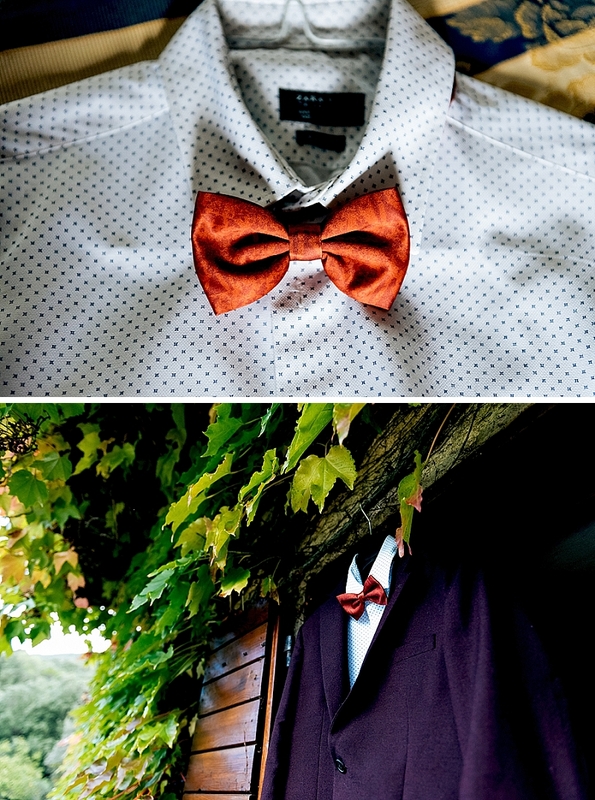 Some references to the life of the London city could not be missing. 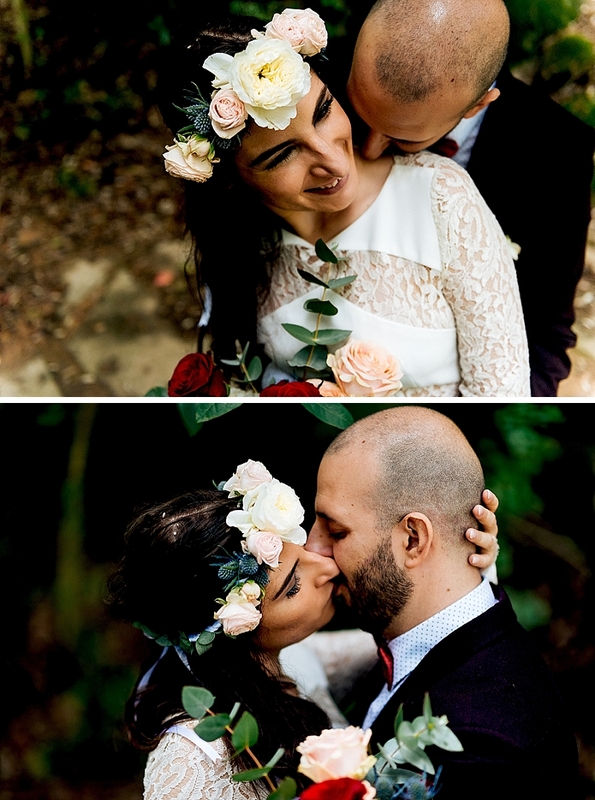 Following is the story of their beautiful wedding.